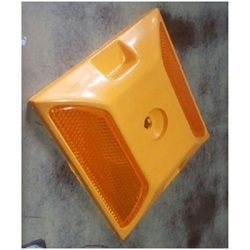 We are engaged in manufacturing a comprehensive range of Traffic and Road Safety Equipment that is manufactured using quality raw material procured from reliable vendors of the market. 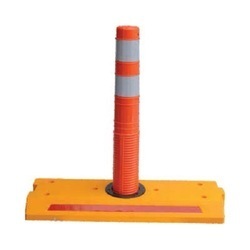 These include Equipments like speed bumps,Road posts ,convex mirrors, link chains with posts, Q-managers for que with chains & belts reflectors, light bars, road barriers, reflective jacket and reflective gloves. etc Available at the industry leading prices, these are offered to suit the requirement of the clients. 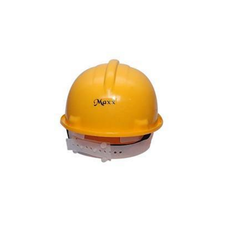 Our wide assortment of safety goods includes, high quality Reflectors, which are designed using high grade ABS, PS and plastic. 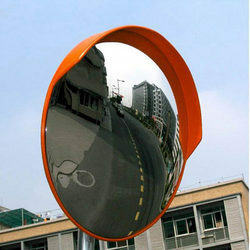 Reflectors being offered by us show high visibility and can be used on bicycles, motorcycles or any sort of vehicle. 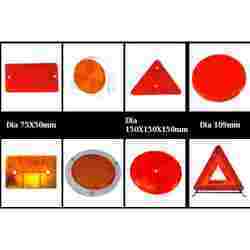 These reflectors are available in various colours and can be availed at market leading prices. 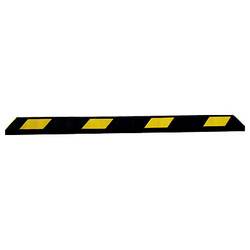 We are a well-known manufacture and supplier of Speed Bumps. Manufactured using high quality EPDM rubber, these ready to install speed bumps are weather proof and can sustain heavy loads for longer time. These speed bumps are designed with an interlocking mechanism, and hence, each unit form a strong bonding with each other. 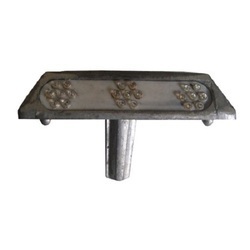 Description : Pioneer Road Studs is dynamically designed and made up of ABS material it can bear maximum load. Additional Information : Glass Beads : 7 x 3. Description : Text : MEN AT WORK. 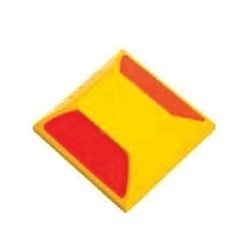 In order to provide protection to any facility, vehicle, firm or any other application, we provide excellent customized solution, corner guards, that are manufactured using high quality raw materials. These are demanded by healthcare industry, educational establishments, municiple organization, private firms and many others commercial buidings. These offer an all round protection. Weight : 12-13 Kg Approx. 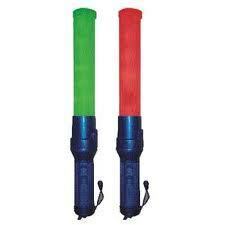 We offer a wide range of LED Baton which helps is managing traffic during night. 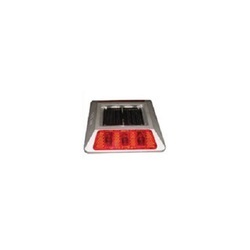 The crystal clear lens of these LED's assures high visibility and optimum performance. The entire range can be custom-designed in accordance with the specifications required.It has the ability to switch between two varying colors. 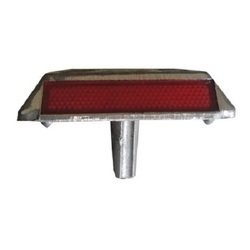 Clients can avail these LED's in red and green colors. 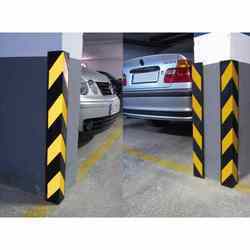 We manufacture highly durable parking blocks, that are made using superior quality raw materials, procured by reliable vendors. 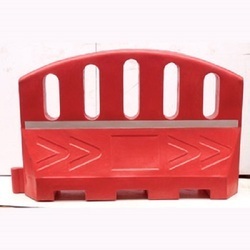 These blocks are extremely useful in traffic management, and guards the parked vehicles from damage. We offer them in different sizes and shapes. Product customizations are also available as per client's requirement. 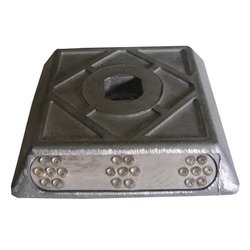 We are involved in manufacturing and supplying an premium quality Plastic Chains that are available in various sizes and shapes like rectangular, oval, etc. 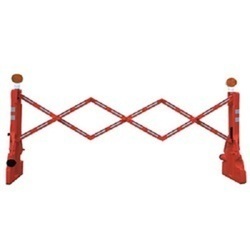 These chains are mainly used for temporary barricading at parking areas, construction sights and also to block the entry of crowd in prohibited areas. 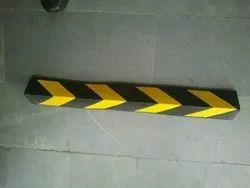 Description : Pioneer Pillar or Corner's Guard made from Plastic and Recycled Rubber for Parking Solutions. Description : It Is Very Light Weight. 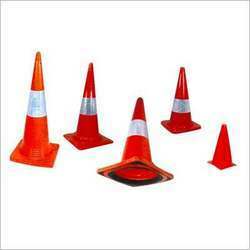 Our clients can avail quality road safety cones, widely used in barricading, making parking zones, work zones, controlling and diverting the traffic. 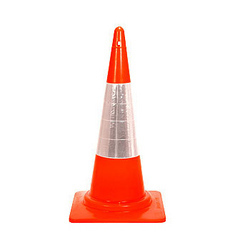 These safety cones are made of a fiber with strength larger than the low density poly ethylene, thus making the cone durable and easy to handle. 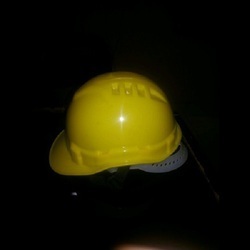 We are suppliers of Safety Helmet with the quality assurance.These are Demanded in Demanded in civil, mining, construction sites and factories for safety of our head and used in different industry like electrical industry, construction industry, search and rescue, oil industry, chemical industry, metallurgic industry, mine, manufacture industry. 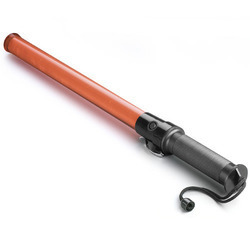 We are a leading manufacturer and suppler of a quality safety products, which include, Spring Posts. 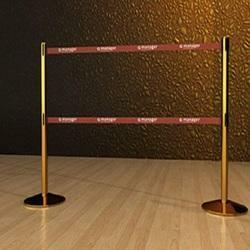 These spring posts are fabricated using premium quality plastic and come in a single piece. 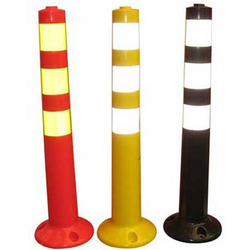 Extensively used at road construction sites to usher flow of traffic, we offer these stylish & weather proof spring posts at market leading prices. 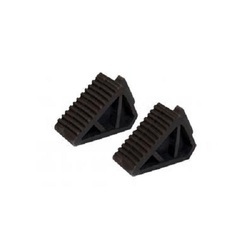 Description : Helps In Stops the Wheels In High Speed. 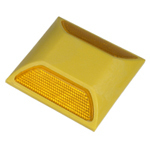 We are the proud manufacturer of premium quality speed breaker Abs and rubber. High quality raw materials, like ABS plastic and PU Material are used in its production. 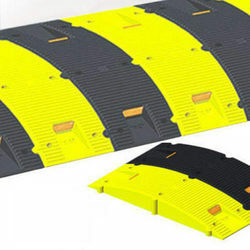 The product is used as speed breakers on roads, for it can sustain through high impacts and extreme weather conditions. Our product comes at affordable price. 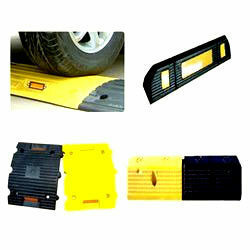 We are a well-known manufacture and trader of various kinds of safety equipments that include, road studs. 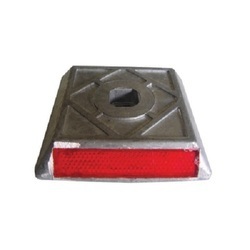 Available in various specifications and dimensions, these road safety studs are extensively used for controlling traffic. 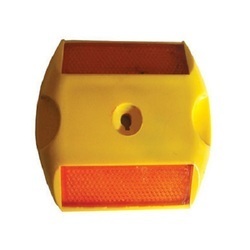 With high visibility even under fog or mist affected surroundings, these road studs are available at competitive prices. Again a important asset in traffic system, we produce an exclusive range of dashing sign boards, produced using high quality raw materials assessed from trusted suppliers. 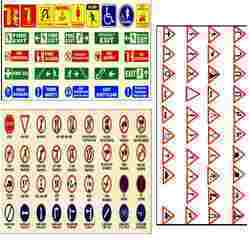 These are used on roads, flyovers or highways to convey directions to the travelers. We provide customer customized solutions too and at affordable rates. 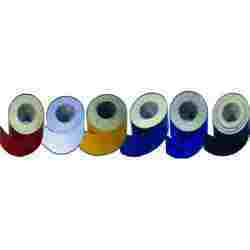 We are involved in the manufacture and trade of various kinds of reflecting tapes, which are widely used in many industries. Other than commercial use these reflecting tapes can be used on motorcycles, cars, trucks and almost on all modes of transportation. 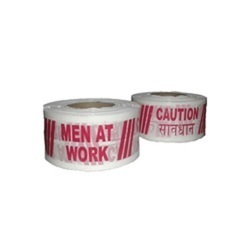 Manufactured using premium quality synthetic fibers , these reflecting tapes are highly praised by our clients and can be availed in various patterns with desired thickness, widths, and lengths. 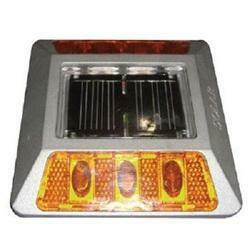 Looking for Road Safety Equipments ?